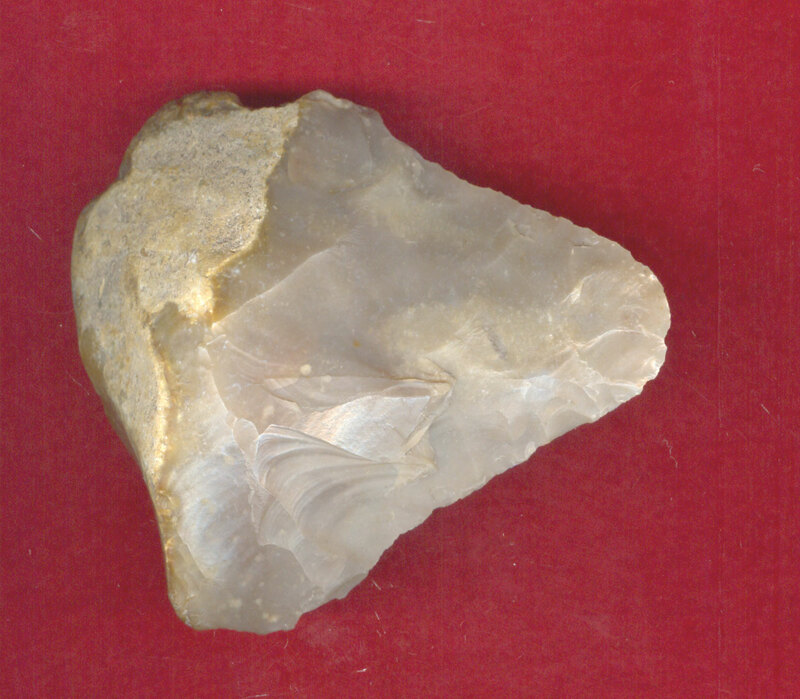 A Medium Size, Typically Made, Nicely Polished, Well Made Kerrville Knife That Exhibits Surface Aging And Stone Coloration Patination, Correct Surface Polish Use Wear, Aged Surface Deposits, Correct Shape And Style For The Type, Correct Style Flaking, Visible Use Polished Rind, Correct Material And Manufacture For The Area Found. Found In The San Antonio, Texas Area. This Is A Nice Example Displaying Polish Bit Use Wear And Overall In Good, Ancient Used Condition! Includes A Ken Partain Certificate Of Authenticity!